IT'S ROUND 2 of the indoor markets! 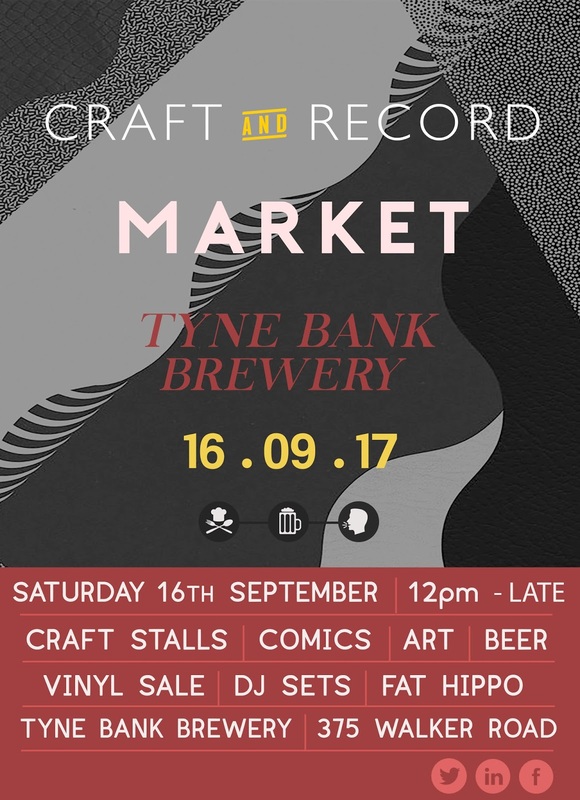 We're going big with September's theme - CRAFT & RECORDS. That's right, we're having ourselves a big old record and crafts sale. We'll be joined by Long Play Cafe who'll be setting up an extensive vinyl and merch shop, as well as spinning tracks throughout the day! Browse, buy and play. The Paper Jam Comics Collective - The group will be joining us and setting up a Comic and Graphic novel library full of handmade, local stories - all availble to buy! We'll also have an interactive drawing activity set up throughout the day. Nowt Special will again be with us, showcasing some of the best Art the North East has to offer, expect prints, tees, paintings and more. MORE MAKERS TO BE ANNOUNCED. Food this time will be brought to you by Fat Hippo, get your napkins ready! As always bring cash for purchases! Doors open at 12pm.